Pwllheli meaning 'salt-water pool' and pronounced Pwlh-hell-ee is the main market town and unofficial capital of the Llyn Peninsula, having received the Borough Charter over 600 years ago by the Black Prince. This bustling coastal town is located at the entrance to the peninsula, which is itself protected as an Area of Outstanding Natural Beauty. 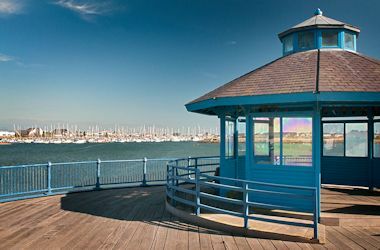 Pwllheli is the ideal location from which to explore this northwest corner of Wales, where Welsh is still widely spoken. The Llyn's Coastal Path is 91 miles long, extending from nearby Porthmadog to Caernarfon on the north coast of the peninsula. This path forms part of the new Wales Coastal Path, 870 miles which runs round the entire Welsh coast. 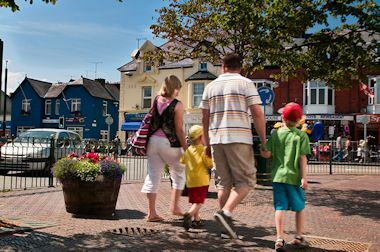 Pwllheli's popular open-air market on Wednesdays and Sundays (in Summer) is held in the square (Y Maes) and is always busy. 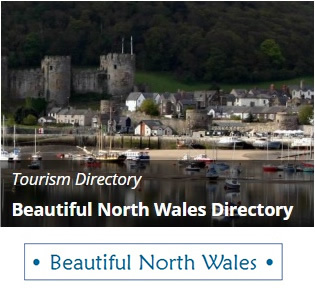 The town is full of character with its narrow streets which have many independent shops, boutiques, traditional pubs, cafes and restaurants, as well as award-winning fish and chips, traditional Welsh ice-cream and seaside rock. There are the obligatory souvenirs, buckets and spades etc., as well as three major supermarkets for those who prefer to self-cater. Pwllheli harbour has a long history — wines from the continent were imported through here and the coast was a haven for smugglers and pirates. As recently as the last century it was one of the main fishing and ship-building centres in North Wales with nearly 30 ships in production at the same time. The arrival of the railways in Pwllheli allowed it to develop further as a centre of social and political life, business and tourism. 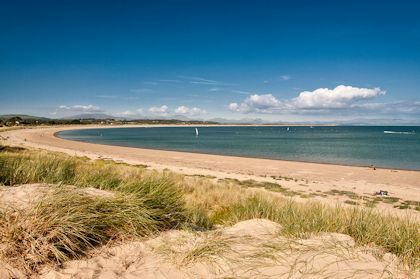 Pwllheli's beaches are mainly south facing and have been awarded the prestigious European Blue Flag Award. 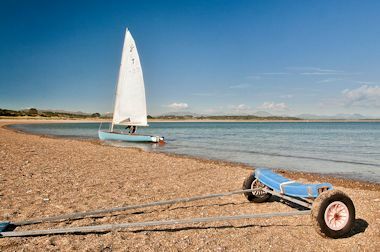 Glan y Mor beach is sandy and sheltered near the marina. South beach is mainly shingle and pebble and stretches the length of the attractive promenade with a play area and skate park nearby. There is a cinema in the town as well as a local leisure centre with a swimming pool for when the weather is not so good. 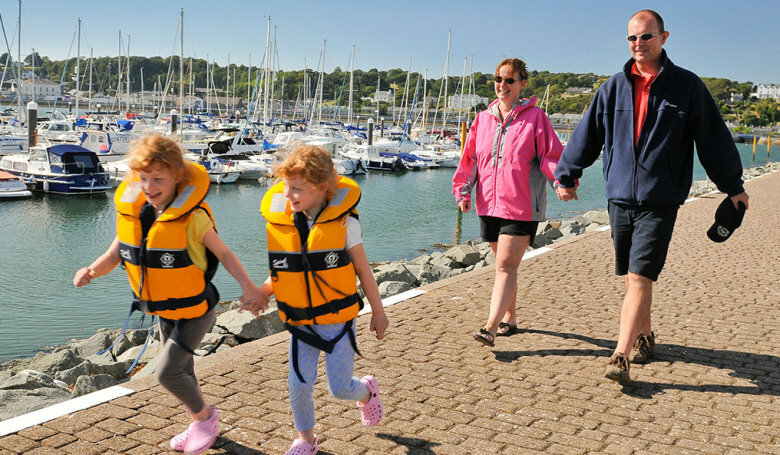 Pwllheli Marina is thought to be one of the best in Britain and has some 400 berths. 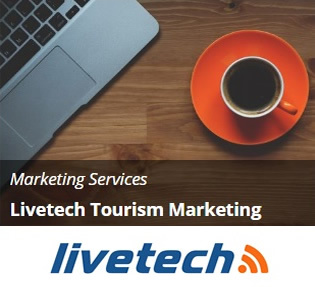 It is designated a 'European Centre of Excellence' in sailing and also the venue for a number of national as well as international sailing and water-sports events.